Are SMSF loans facing extinction? On Sunday, 7 December 2014, David Murray released his much anticipated final report, urging the government to prohibit SMSF borrowing arrangements. In response, a recent poll by The Adviser asked brokers how their business would be affected if SMSF lending was scrapped. As a niche area for many brokers, it is no surprise that the majority of respondents (52.3 per cent) said the change would have no impact on their business. Banning SMSF lending would have a minor impact for 21.9 per cent of brokers and a moderate impact on 11.7 per cent. However, 14.1 per cent of brokers said scrapping SMSF lending would have a major impact on their bottom line, suggesting that a fair proportion of brokers have built their business around the SMSF market. The MFAA and FBAA will lobby the government in opposite directions regarding direct borrowing by superannuation funds. MFAA chief executive Siobhan Hayden told The Adviser that the association would make a submission to the Financial System Inquiry (FSI) in defence of SMSF borrowing. “In most cases, SMSFs were set up to achieve a diversity of assets. Most are in the form of shares, money and real estate,” Ms Hayden said. Ms Hayden said one way to take risks out of SMSFs would be to reduce the maximum LVR from 80 per cent. She also called for greater competition in the SMSF sector in order to drive down the interest rates on the limited-recourse loans used by SMSFs. However, FBAA chief executive Peter White said his association is likely to make a submission to the FSI warning of the dangers of SMSFs. Mr White said the FBAA had hired two specialists to investigate SMSF lending and lead any lobbying efforts if their report confirms that the sector has gotten out of hand. “If they’ve got research that confirms that the weighting of property in SMSFs is skewed far to one side, then we’ll be saying that this shouldn’t be allowed to happen,” he said. St George Bank is widely considered to be a pioneer in the SMSF lending space. 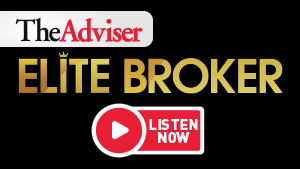 Clive Kirkpatrick, the bank’s general manager of mortgage broking, told The Adviser that the potential changes to SMSF lending are definitely on his mind. “In terms of flows, it is not a massive contributor, but it is certainly a niche we have worked on and believe we have a market leading product,” Mr Kirkpatrick said. Last year was marked by a number of significant forces that could change the shape of the Australian mortgage market as we know it, says Mr Kirkpatrick, who will be educating brokers on the current regulatory climate at St George’s seminar series. “The theme I am thinking of is growth,” he said. In terms of SMSFs, St George has moved to a simpler and speedier process for brokers while the going is still good. If the government makes drastic changes, the bank will act accordingly. Earlier this year, St George announced new system enhancements to its SMSF products, including the removal of a financial advice certificate requirement for SMSF lending. The changes, which came into effect on 19 January, have been prompted by the FOFA (Future of Financial Advice) reforms, Mr Kirkpatrick said. “One of the changes that we have made with our SMSF loans is to remove the need for the financial advice certificate,” he said. “We removed that necessity as part of these changes,” he said, explaining that FOFA, new lending guidelines from APRA and the FSI’s final report will change the financial services landscape. “It is not just in the mortgage market where big changes are happening. We have to be aware of what changes are happening in other areas. While brokers will no longer be required to seek a financial advice certificate when dealing with SMSF clients, St George will require certification from the trustee. “Obviously, it is the trustee’s decision as to what they invest in,” Mr Kirkpatrick said. “They need to understand all the risks and satisfy the suitability for the type of asset that is in the super fund, but we think this just makes it easier,” he said. The new SMSF system enhancements also include a new online super fund calculator. Brokers will be able to use data from the calculator in their applications through auto-transfer of data to the application. Brokers will also have the ability to correctly capture the complex super fund applicant structure, which St George claims will reduce errors and effort for brokers and assessors, leading to improved turnaround times to approval. While St George makes bold moves in anticipation of big changes, non-bank lender Mortgage Ezy does not believe SMSF loans will go. The lender’s chief executive, Peter James, says this position is formed from seeing the actual loan applications and what a low LVR and a conservative approach they are taking. “As a former financial planner, what worries me today is that people are very overweight in shares,” Mr James says. “What the lending does is it enables small to medium [-sized] SMSF holders to actually balance their portfolio to include property,” he says. Australians love the fact that they can touch, feel, see and deal directly with their own property. It’s a sense of pride, explains Mr James. SMSF lending is absolutely integral to doing those things and much more, he says. Mr Alabakov says he doesn’t believe SMSF lending will go.